Ordinarily, walking past a dandelion in my lawn draws me into a state of frustration and disappointment. Frustration knowing that I have no defense against the bazillions of seeds that will spread with the next wave of wind. And disappointment in my poor lawn keeping skills. If I'm being completely honest with myself, I'll admit that my skills are downright pitiful. Come mid-July brown grass and dandelions cover at least fifty percent of my lawn. But on this particular mid-summer morning while I was walking back to the house from taking out the recycling, this ordinary dandelion caught my attention. I felt an overwhelming sense of joy as I walked past it while I observed its beautiful patterns illuminated by the early morning light. Joy in the beauty of nature's designs. Joy in the sun shining brightly every morning. Joy in the blooming and spreading of a flower's seed. Go right ahead now, enjoy something simple for yourself today. 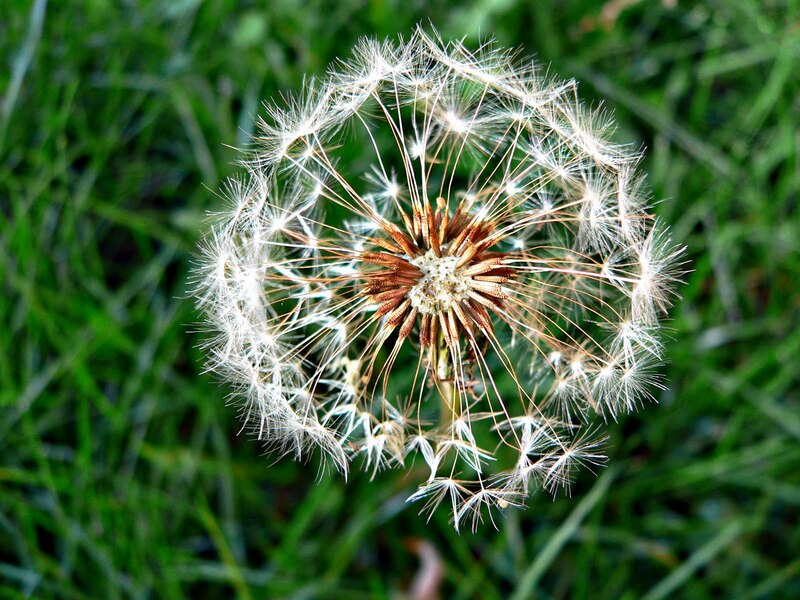 I worked with a kid with autism who would run around the neighborhood blowing dandelion seeds all over the place. At first I was really frustrated, but then I realized how beautiful and fun it was. Plus, it wasn't my neighborhood, right? Joy in the simple things indeed!